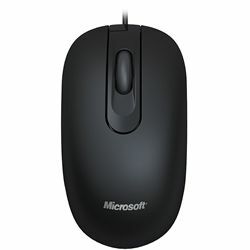 Get back to basics with a 3-button scroll wheel optical mouse. Standard-sized and equipped with a nearly 5-foot cord, this reliable USB mouse is designed to work without any fuss. Just plug it in and go. Requires Microsoft Windows 98SE+.